Textbooks have been heralded as an objective source of knowledge. With 315 million students in India as of 2011, it is especially undemocratic when political parties include their agendas while ‘updating’ textbook content. The implications of this bias on impressionable schoolchildren are serious. Will reducing government intervention solve the problem? Or will private players bring newer challenges? Can we make the process of deciding what our children study more transparent and accountable? For decades, textbooks have occupied a pivotal role within India’s education system as a resource utilized by teachers and students alike. A ‘textbook culture’, is prevalent in the Indian school education system. This refers to the role of the State in creating and publishing textbooks which are specifically prescribed, explained by teachers in classes and utilized by students to prepare for examinations. Given its central role to learning and in legitimizing the exchange of selected knowledge, those who determine textbook content are in positions of immense power (and responsibility). Consequently, education — especially the imparting of ideas and building belief systems through textbooks — has become a matter of political interest. The occurrence of propaganda in textbooks is not a new phenomenon. Yet, recent times have raised concerns about content being doctored to reflect political ideologies and “serve narrow political aims”. Professor Ashar Khohar explores this in ‘Politicization of Curriculum in South Asia’ where the terms curriculum as one of the tools to “maximize the gains in the politicization of education”, and explains the role of politicized textbook content in making individuals more intolerant. This way, political motives convert students’ textbooks into platforms for ideological conflict while compromising learning outcomes. The National Council for Educational Research and Training (NCERT) is responsible for both designing and revising curricula, syllabi and textbooks for classes 1 through 12. It was established in 1961 as an autonomous body to aid both the Indian central and state governments in improving school education on qualitative fronts. 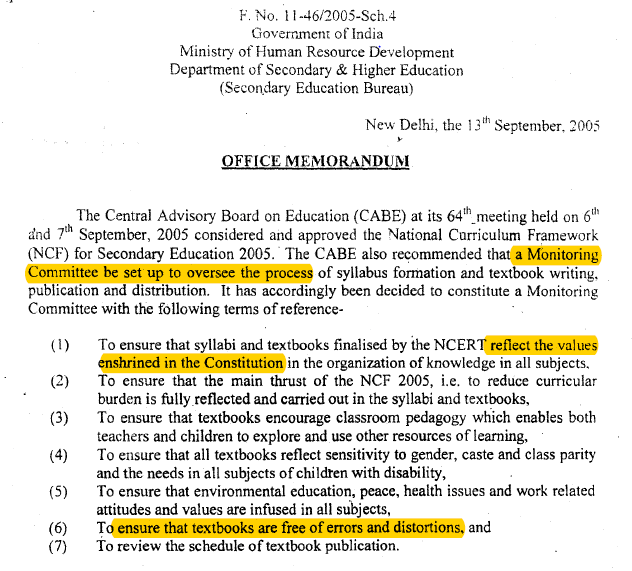 The body’s autonomy is questionable, considering that appointments to the NCERT are made by the MHRD. “The NCERT is not really autonomous, it is very much under government control and is well within its power to make [recent] changes. 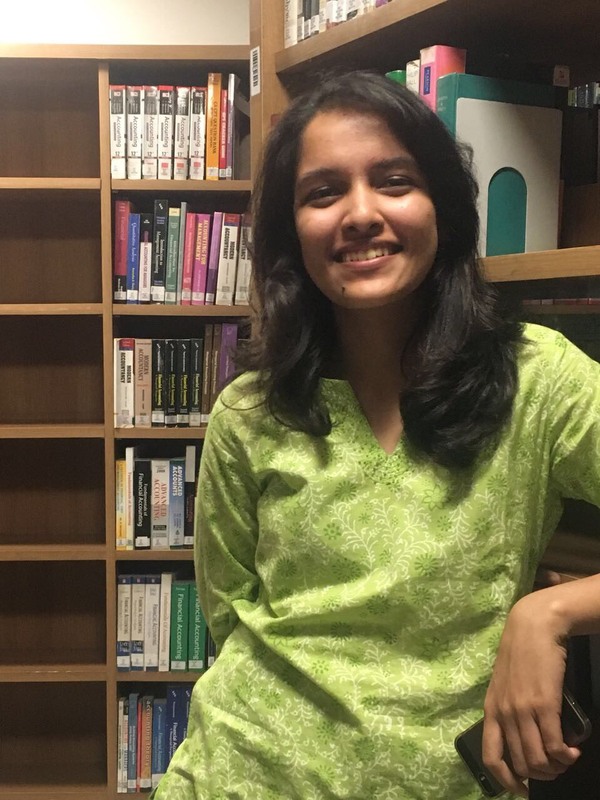 The problem is that there is no independent watchman body to vet and scan these changes…” says Professor Disha Nawani, the Dean of School of Education at TISS. 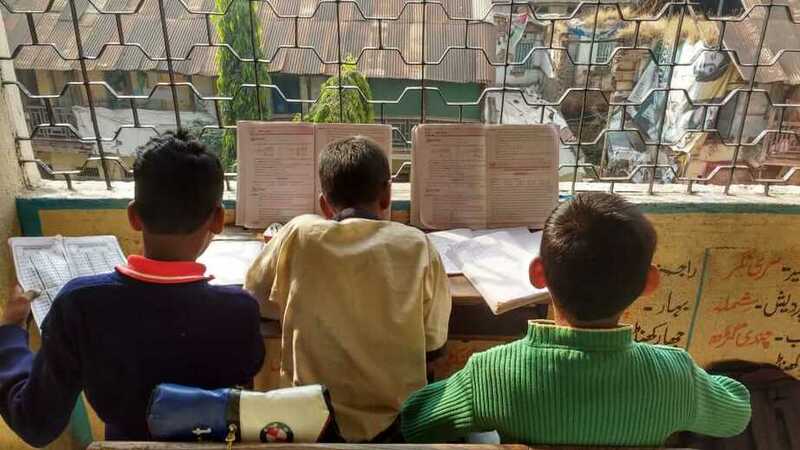 However, in the past year alone, the changes made to over 300 existing school textbooks were been decided upon internally by the NCERT on the instruction of the MHRD. Professor Hari Vasudevan, former chairman of the NCERT Textbook Development Committee writes that unlike protocols followed prior to 2016, these revisions did not consult advisors and textbook development committees. Revisions in NCERT textbooks have always been a hotbed of controversy. They have been in question for reflecting the political views and ideologies of parties in power and for providing a coloured perspective, painting governments and their actions in the desired light. Shortly after the BJP’s ascent to power in 2015, the NDA government made Yellapragada Sudarshan Rao the chairman of the Indian Council of Historical Research (ICHR). A well-known RSS supporter, he suggested that the ICHR should view Indian mythological scriptures like the Ramayana and Mahabharata as historical events, which raised concerns regarding his objectivity. Considering the ICHR’s advisory role in education policy reform, his appointment will have had political implications on the education system. New textbooks in Rajasthan grabbed attention in June 2017. The country’s first Prime Minister, Jawaharlal Nehru was left out from Class 8 textbooks and a larger portion was devoted to Veer Savarkar, who has been credited with coining the term ‘Hindutva’. Savarkar has been glorified in Class 10 textbooks and Mahatma Gandhi’s role in the independence movement has been minimised to a passing reference. It seems no one has informed HRD minister @PrakashJavdekar that there is a full chapter on emergency in NCERT textbook. Chapter 6: Crisis of Democratic Order. It tells the harsh truth of Emergency. Yogendra Yadav’s response to the HRD minister’s “We have decided that we will change syllabus to include the truth about the Emergency so that history can be understood the right way” tweet typifies the platform that textbooks serve for political ideologies. Keeping up with the HRD Minister’s promise of a better understanding of India’s “glorious past”, the new NCERT textbooks this year place a greater focus on ancient Indian philosophies, ayurveda, yoga and the Upanishads. Neither is this a random run-of-the-mill proposal nor is it a tactic exclusive to the BJP. In 2016, the Left Front government in Tripura was criticised for not including Indian history in Class 9 textbooks; instead, they focussed on the Russian and French revolutions, Karl Marx and Hitler. Updating textbooks are essential to a country’s pedagogical progress. However, there is a need for well-reasoned alterations that follow due process and not ad-hoc changes made on political whims. While complete autonomy of the NCERT might be an ideal far from realization, there must be persistent efforts to sustain a degree of relative autonomy. This can be achieved by resisting overbearing state inference and control. It is necessary to ensure that the regulatory mechanisms in place, i.e. established review and revision processes, are respected. Increasing the democratic and inclusive nature of discussions around textbook revision would add transparency and accountability in the entire process. Privately publishing textbooks may serve as a counter to the political interference of governments and their natural political bias. However, such publications would be more expensive than cost-effective NCERT textbooks; besides, the possibility of bias would still loom large, if not overtly political in nature. Private publishers commission authors of their choice, leaving little scope for discussion about what should be included or excluded. Every aspect of social life is susceptible to politicization, and education is no different. Maintaining objectivity in textbook content will always be an arduous task. Right from a young age, therefore, it is crucial for Indian societies to encourage students to be critically conscious of textbook content. They should be taught to scrutinize content and identify biases and made aware that ideological issues are contested notions. This way, students may realize that textbooks might not always represent matters objectively. Perhaps the time has come to question India’s ‘textbook culture’ in itself. Technology is permeating rural regions and textbooks might soon be passed up for other supplementary means of knowledge-sharing in classrooms. With the general elections looming large, there is a need to assess what the future may hold for our children as students and how best we can ensure that learning material is focused on improving outcomes and not propagating political ideologies.